Summer is here. Time for bold prints, bright colors, and anything with fringe. It was a long, dreary winter after all. Adding a soft neutral color like the boho crochet vest can help tone down a bold pattern, plus it has a fringe. 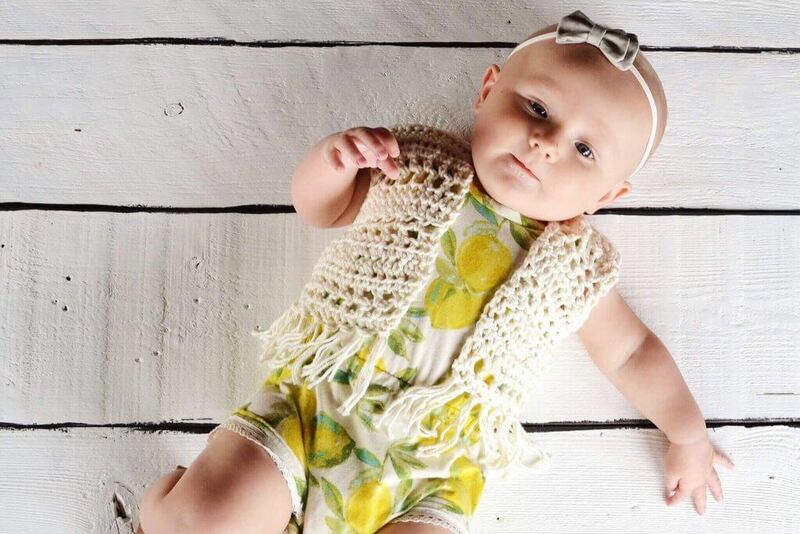 The darling lemon romper from The Dainty Place is a perfect example. It gives you all the summertime feels. The Dainty Place makes quality handmade kids clothing that I secretly wish came in my size. Now I’m craving a glass of fresh squeezed lemonade. When I designed the toddler vest with fringe pattern I had no idea how popular it would be. Requests for more sizes came pouring in. 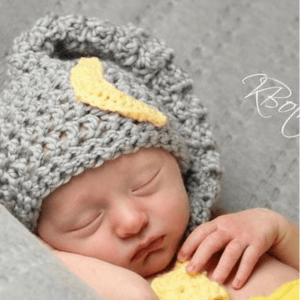 I have a special place in my heart for baby crochet patterns. I made crochet baby photo props for a couple years before I began pattern writing. The vest is forgiving and will fit your flower child in sizes 3-12 months. 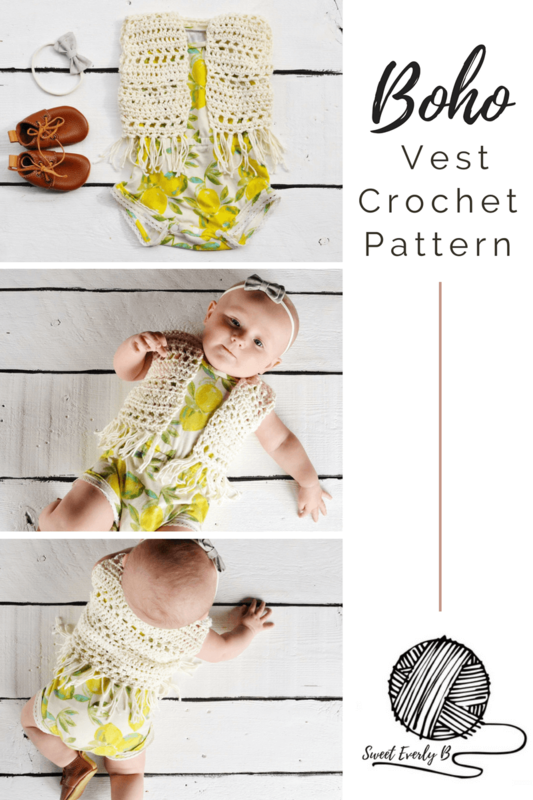 The infant boho vest is the perfect first clothing project. You’ll only need 1 skein of worsted weight cotton yarn. The airy design makes this project quick, my favorite. Grab a skein of cotton yarn, the free crochet pattern, and a glass of fresh squeezed lemonade. You’re on your way to summer. 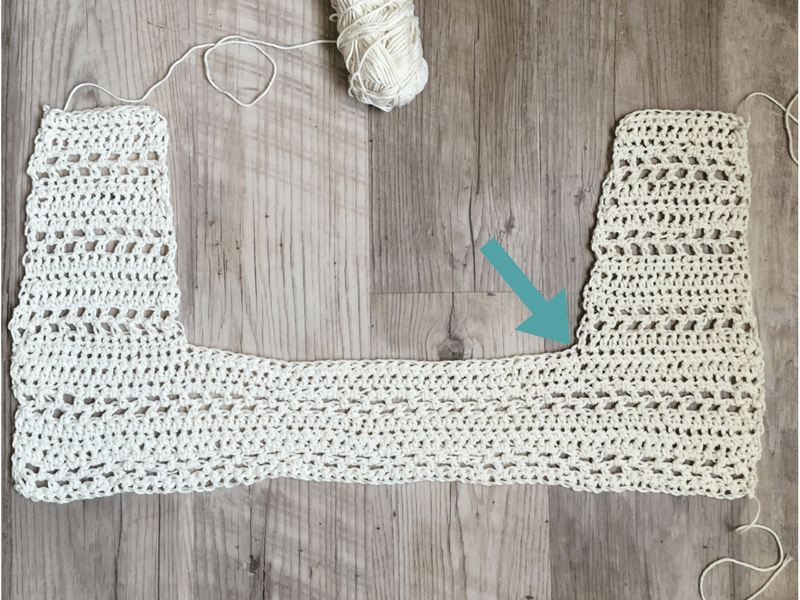 Learn all the details about crochet gauge in this tutorial. Attach the yarn in the next unworked stitch where the arrow is pointing. Lay the vest out flat. 2. Fold each front panel in. 3. Sew together along the top, following the dotted line, to form the shoulders of the vest using the whip stitch. Cut yarn into 4” pieces. Hold 2 strands of yarn together, fold yarn in half, tie a larks head knot. Repeat this along the bottom of the vest. 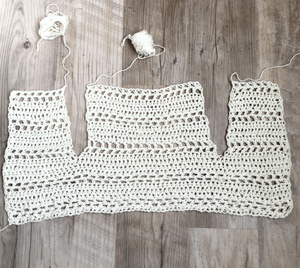 The Cabana Crochet Bag Pattern will be a perfect pair with this boho vest for your summer outings. 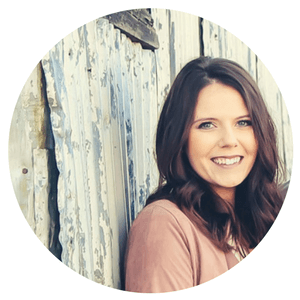 Crochet designer//Wanna be knitter// heart of an 80 year old// When I'm not crocheting you can find me in the kitchen baking with my little ones, drinking iced coffee or watching Gilmore Girls. Hi! I love this pattern! But would you believe I’ve frogged it twice? Do you happen to have a video of this pattern? I don’t have a video for this pattern. You can send me an email with more details of where you’re struggling and I’m happy to help. Hi ok so I feel like I’m missing something. For the 1st front panel do I repeat another time? 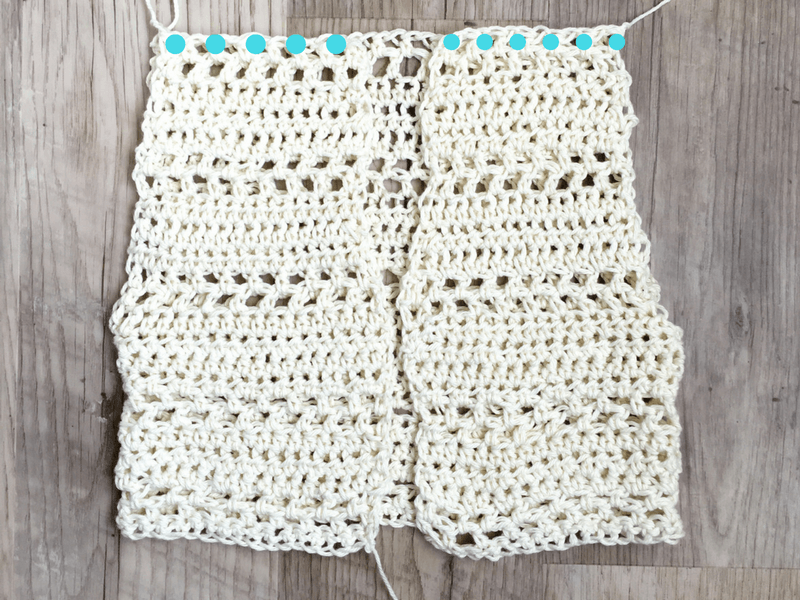 You don’t need to repeat the rows for the first panel on the baby size vest. Your vest should measure around 7.5″ long. 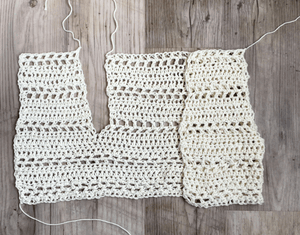 If you’re still short of that measurement you can repeat the rows again. Just make sure to keep track of how many rows you add so you can do the same thing on the 2nd front panel. I love this pattern! It was so easy to follow and so cute when it was finished. I finished mine with a sc all the way around the edges to give it nice clean lines and I think it worked really well. Thank you for the pattern! I’m so happy to hear you loved the pattern. I’m sure the edging added a nice touch. Thanks for the idea! Hi! I filled out my email to receive the pattern and it is not showing up in my email. I sent you an email so we can get this taken care of. Hi there, I also would like the pattern for the toddler size. I sent you an email Leanna. Thank you for your beautiful creative patterns. This will give me the inspiration to teach myself how to crochet and maybe make money and have an extra income. This could turn into a business and then I won’t need to work for a boss anymore? I am already in my 50’s, so I guess it is never too late to learn. Crocheting (and knitting) has always been my passion and something that I enjoyed very very much. I have been crocheting since 9, but all I could do was Granny Squares. Follow that passion! It’s amazing when you get to do something you love every day. Good luck with your adventures! 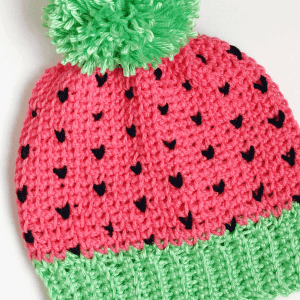 Hi, I love this pattern, super cute! If I end up having a girl I will definitely try it out! I’m all wondering about the gorgeous shoes in the pictures though, where are they from?! Thank you! Aren’t those shoes the cutest?! I just love them! They would be perfect for a boy or girl. They are from Honey And Hide. Clicked on pink tab for free pattern for the boho chic vest for baby but I got the toddler pattern twice. Hi Ruth, I’m happy to hear you love the vest. Here’s what you need to do to get the free pattern. 1. Click the pink button above that says ” Get The Free PDF Pattern”. 2. Enter your email address. 4. 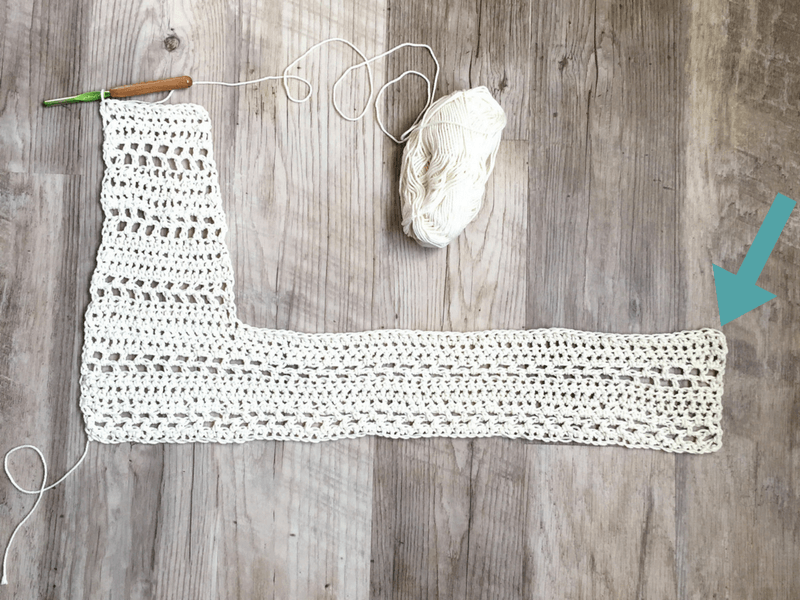 Confirm your email address and you will get the PDF crochet pattern. I hope this helps. If not please let me know. Thank you! I finally discovered my adblock was blocking the access! I’m glad you figured it out! Enjoy the pattern. Somehow I cannot find the pattern on this page. Where do I find it?? Thank you! I love the vest. Hi Stephanie! I’m glad you loved the pattern. I haven’t made this in adult size yet. A few others have asked for that size. Hopefully, I’ll get some time to test out that size. Check back soon! Thank you, Georgina! Enjoy the pattern. Hi Diane! When you click the pink button that says “get the free PDF crochet pattern” you will be emailed the pattern. All the details you need to make the vest are included.